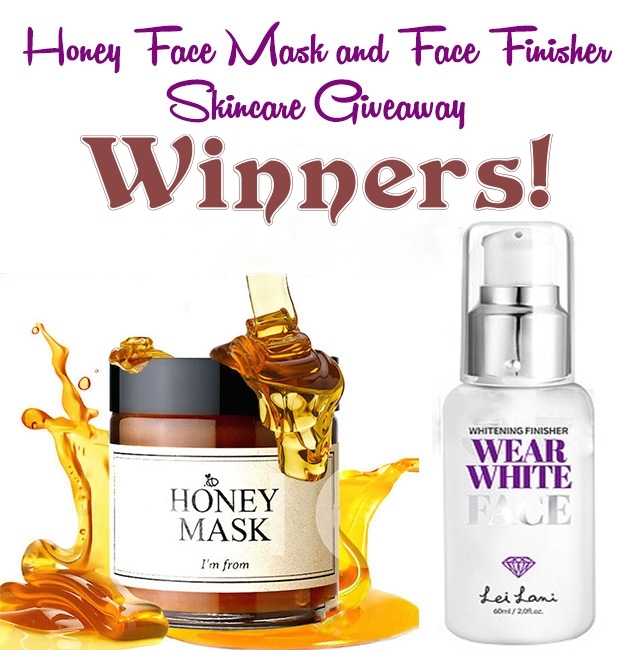 A huge thank-you to everyone who entered the Wishtrend giveaway of a Honey face mask and a face finisher. Sadly, there can be only two winners. But I have another giveaway up and running right now, with more to follow over the year, so there will be plenty of opportunities to win some nice goodies - I hope you will keep supporting Cosmetopia Digest! Incidentally, this was the first giveaway after rebranding from My Beauty Junction to Cosmetopia Digest. Congratulations! The first name receives a Honey Mask while the second winner receives the Face Finisher. If you BOTH hate your choices and want to swap, comment below. I will change your prizes around IF both of you comment. If only one person comments, I'm afraid the prizes stand as they are, since there is only one of each to go around. If you cannot see the Rafflecopter widget, please go here. Your full name and shipping address including pin code and country. Your Wishtrend account email (you need to register to get your prizes as they're sent through the website. If you haven't registered, please do so here). Make sure you send me the lot. My contact details may be found in the menu bar above the post. Needless to say, your details will not be misused and will be kept confidential. Please get in touch asap! As I said before, Wishtrend will be mailing out the prizes to you directly. Depending on the vagaries of international mail, it could take a few weeks (I've had an instance of 10 weeks) for you to receive your prize, but when it comes, I hope you will enjoy it! Once again, thank you for your support and good luck if you decide to enter the other giveaway!